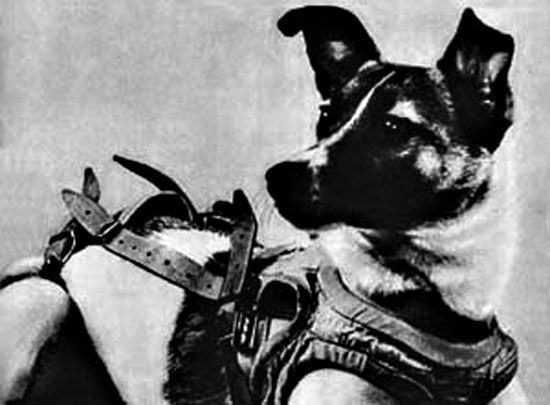 Laika, of course was one of the Soviet Union's space dogs and was the first living animal to orbit the earth. 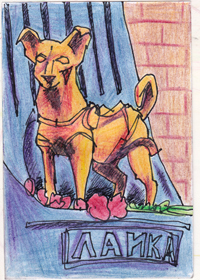 If you've not already read it I'd highly recommend Laika, Nick Abazdis's lovely re-telling of Laika's story (fictionalised but beautifully and believably told and sprinkled liberally with grains of truth). If you have already read it I really suggest you go here! Recently also the Vostok 5 project was "an exhibition of art and music about people and animals in space" - the exhibition is over but you can buy the CD, a poster or some of Darren Hayman's original art for the exhibition over here.